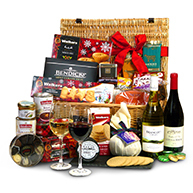 Scottish Food and Hampers is a family-run company, with over 15 years’ experience handcrafting delicious, luxury hampers as gifts for colleagues, family, and friends. Scottish Christmas Hampers are a specialty. 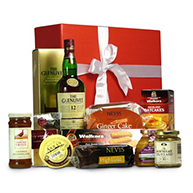 Pre-order a Scottish hamper gift today. Choose a delivery date up to 6 months in advance. If you don't find the perfect food selection, create your own Scottish hamper. Choose from a wide selection of award-winning foods and family favourites. 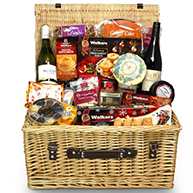 Adding and taking away food items is easy and we carefully hand pack every hamper to order. 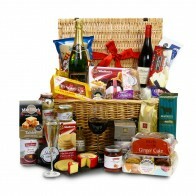 We’ll take away all the hassle of sending a gift hamper abroad by arranging to deliver on a date of your choosing. We can even help you choose what to send. When your mission is to find a special gift, ours is to make sure your Scottish Hamper is the most delicious and impressive as possible. 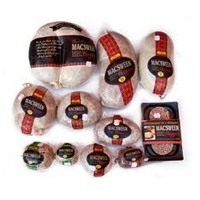 Much loved favourites like Tunnocks, Walkers Shortbread and Macsween Haggis are paired with must have food and drink. You’’re sure to find a gift that will delight. 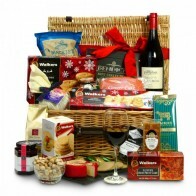 We hand-pack all our hampers to order. Don’t like a particular item? Change it – find out more here. If for any reason a product is out of stock, we promise to replace that product with another as close to it as we possibly can and one of similar or greater value. 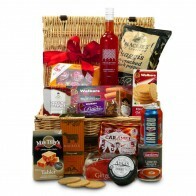 Browse our Scottish Hamper range. 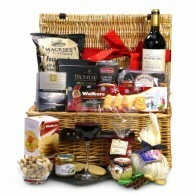 "I made up my own hamper as a gift and the service received from selecting the products, the communication from them when there was a problem with delivery (my error, not theirs) to delivery of the hamper was first class I will definitely be using again soon :)"
I purchase a hamper every Christmas for the family in the UK from my home in Canada. 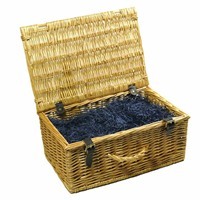 Looking for an elegant corporate hamper as a business gift?  We design and create corporate hampers of the highest quality, combining award-winning Scottish food and drink to produce elegantly presented gifts for your staff, customers and business contacts. 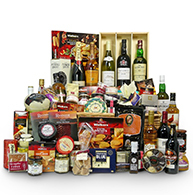 Whether you need just one or a thousand, our team is on hand to carefully pack your hampers and deliver them to private and business premises throughout the UK and Europe. Our How to Book guide may help you, and we are always keen to talk with you between 9 am and 5 pm GMT using live chat, or email us here.